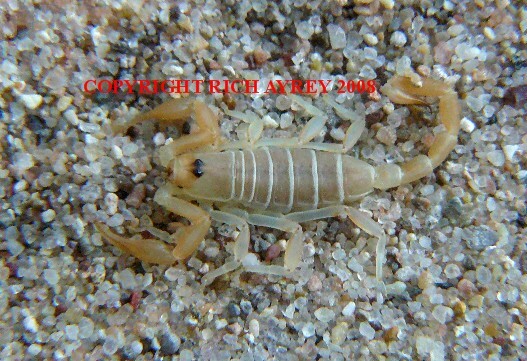 Here is a photo of a Paruroctonus borregoensis from south western Arizona, not far from Yuma. I was fortunate to be able to get pics of this species of Arizona Scorpion. This Arizona Scorpion page created 10/05/08. This Arizona Scorpion page last updated 01/17/2017.